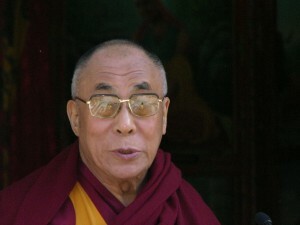 The best hope for all Tibetans continue to be His Holiness The 14th Dalai Lama. The deep respect that all Tibetans have for him unites us. His wisdom and statesmanship have guided the Tibetan movement along a peaceful path that has not only won His Holiness the Nobel Prize for Peace but also the admiration of the world. His unceasing efforts on behalf of the Tibetans and his international stature as a man of peace has kept the Tibet question alive. Although he recently devolved his political powers to an elected leader for the Tibetans, His Holiness will continue to unite, inspire and guide all Tibetans. The bravery, unwavering belief in His Holiness The Dalai Lama and the spirit of the Tibetans in Tibet is another huge source of hope. The majority of the reports from Tibet suggest that the years of occupation has not diminished the spirit of the Tibetans. They continue to challenge repression and moves to undermine their religious and cultural freedom with both determination and bravery. The spirit of the Tibetans it seems continues to be strong. In exile, Tibetans under the leadership of HH The Dalai Lama have made efforts to retain their identity, build institutions in exile and keep the culture strong. Although India has vast powers of assimilation, the Tibetans in their settlements have kept their identity and culture alive and vibrant. Led by HH The Dalai Lama, Tibetan spiritual masters and other cultural ambassadors have toured the West extensively and exposed the unique Tibetan spiritual heritage and culture to people in the West. The Tibetan culture premised on compassion is another huge source of hope for itssurvival. In today’s world of competition and conflicts, a culture that teaches its children to pray for the welfare of all sentient beings has a unique place. Just as the Amazon forests are invaluable to the world for our source of oxygen, we believe that the Tibetan culture is equally vital for being an oasis of spirituality. Finally, the educational institutions that Tibetans have built for their children in exile andthe education they offer to the children are a huge source of hope. A key component of keeping Tibet and its culture alive is to provide Tibetan children with an education that grounds them in their culture while at the same time providing them the tools to succeed in today’s world. Tibetan education in exile does that TCEF is proud to be a part of that story.